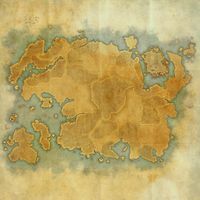 Tamriel is the continent on which Elder Scrolls Online takes place. It is located on the planet Nirn in the Mundus, and it is being pulled into Oblivion by Molag Bal's Planemeld. Tamriel is currently divided between three military alliances: the Aldmeri Dominion, the Daggerfall Covenant and the Ebonheart Pact. 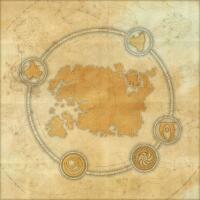 Given the current events, Tamriel is not divided along traditional province lines; see zones for more information.